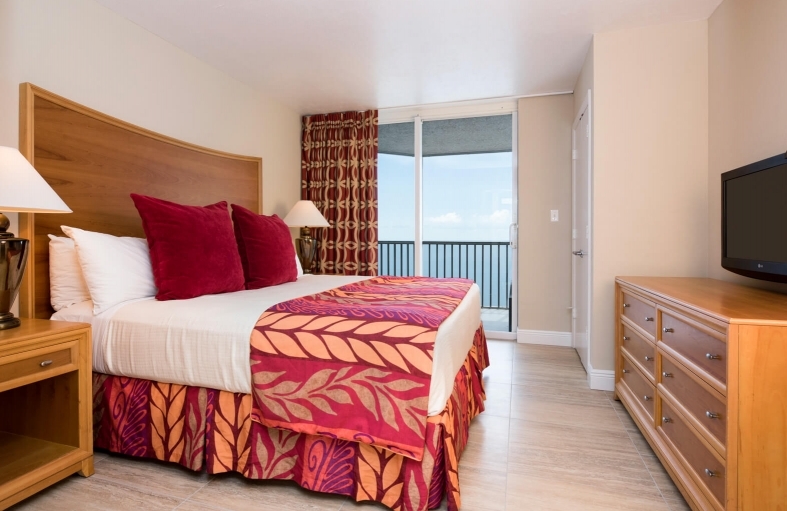 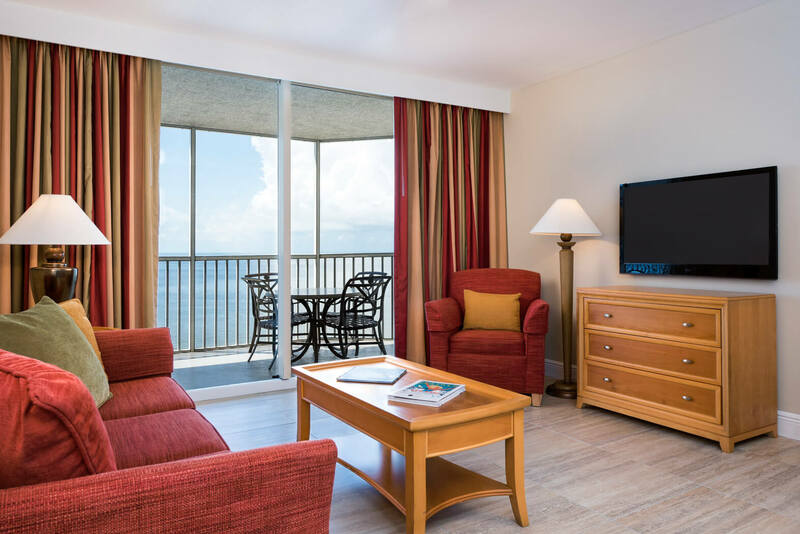 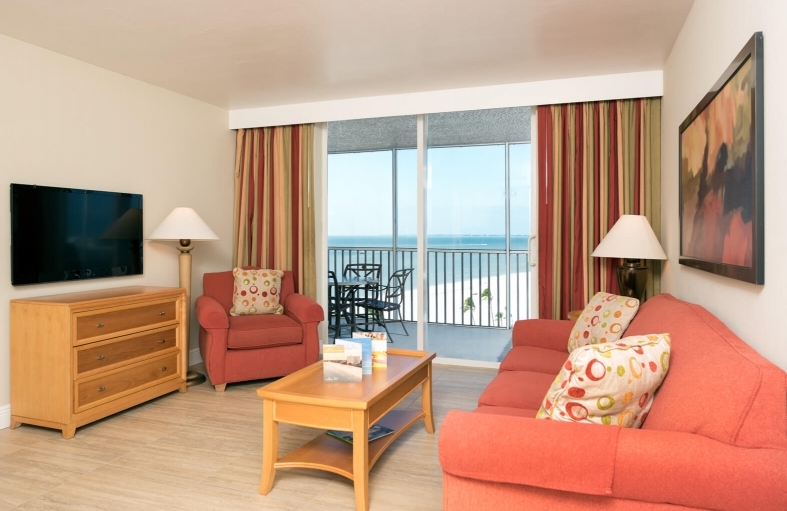 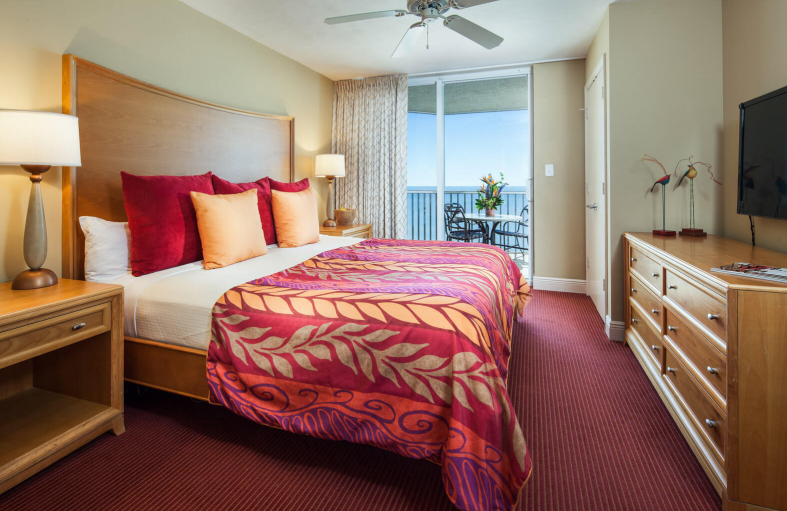 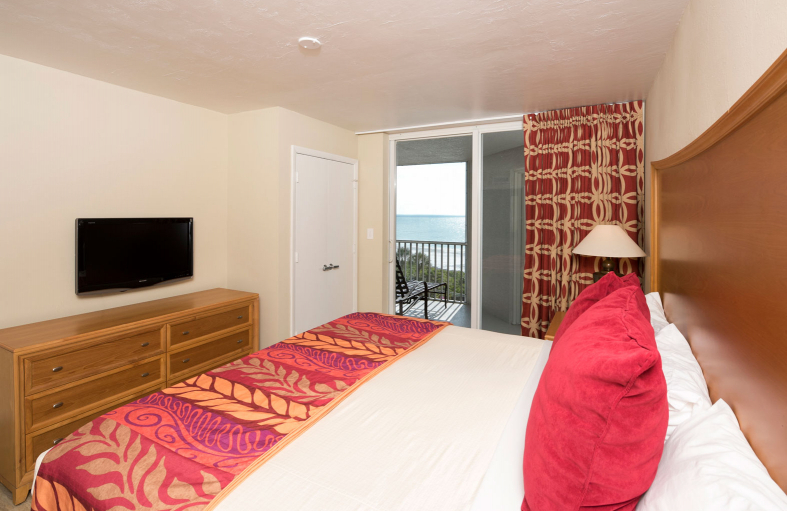 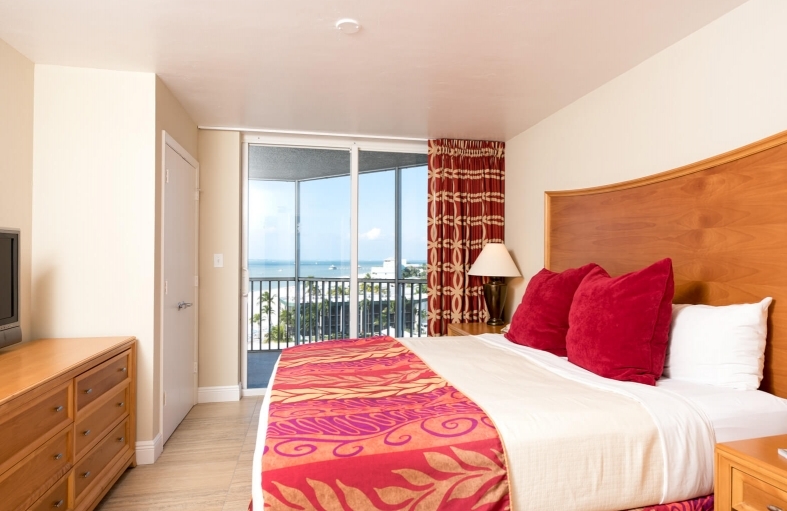 With breathtaking beachfront, pool, or gulf views, our spacious one bedroom suites are sure to make your stay at DiamondHead Beach Resort sublime. Whether you’re here for a family vacation, a special occasion, or business trip, our seasoned team of local experts will make every effort to keep you content. Our one bedroom pool beach view suites include a kitchenette with cooktop and large granite island, plus separate bedroom with walk-in or full bathtub shower. 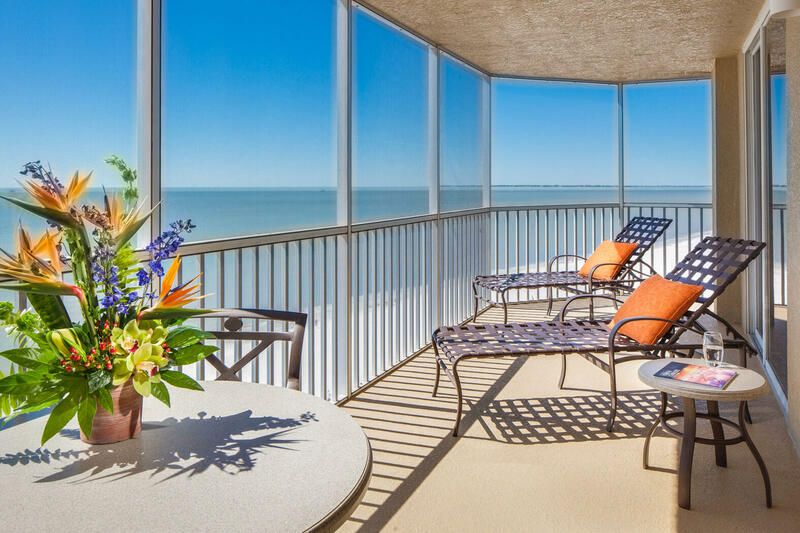 Each suite has tile floors throughout and floor-to-ceiling sliding glass doors that access a private lanai. 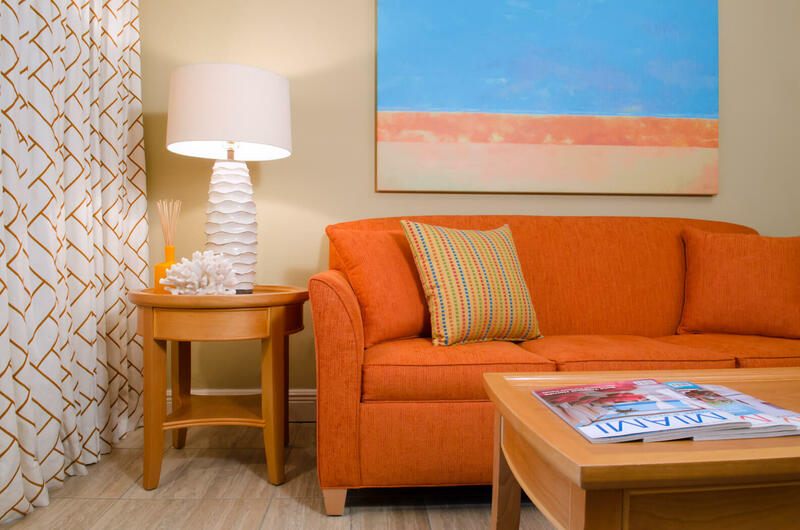 Our newly renovated gulf view suites offer a contemporary twist on beachfront accommodations. 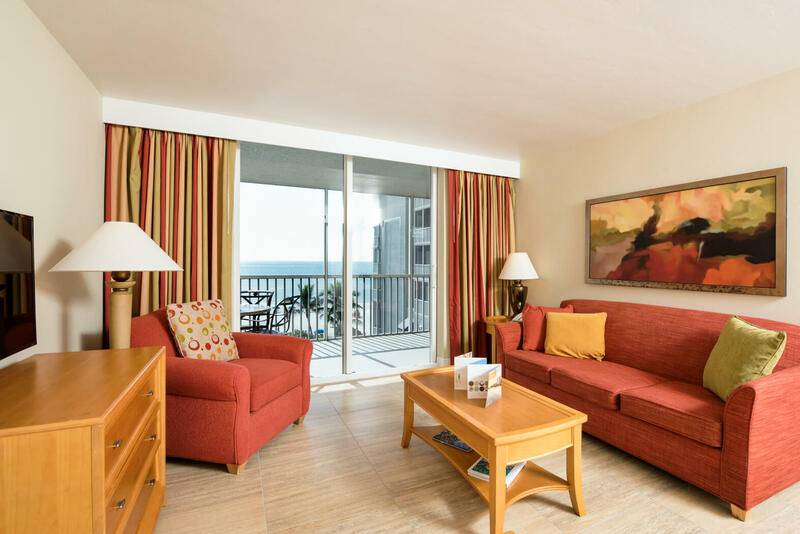 The living room has a queen sleeper sofa while the bedroom has a king-size bed and walk-in shower—plus granite surfaces and tile floors throughout. 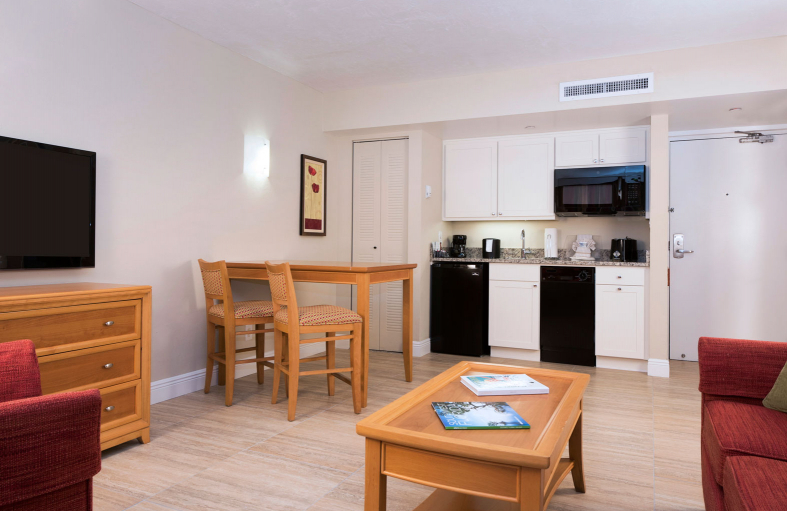 Our inviting one bedroom beachfront suites offer a kitchenette with granite countertops and dining area with table. 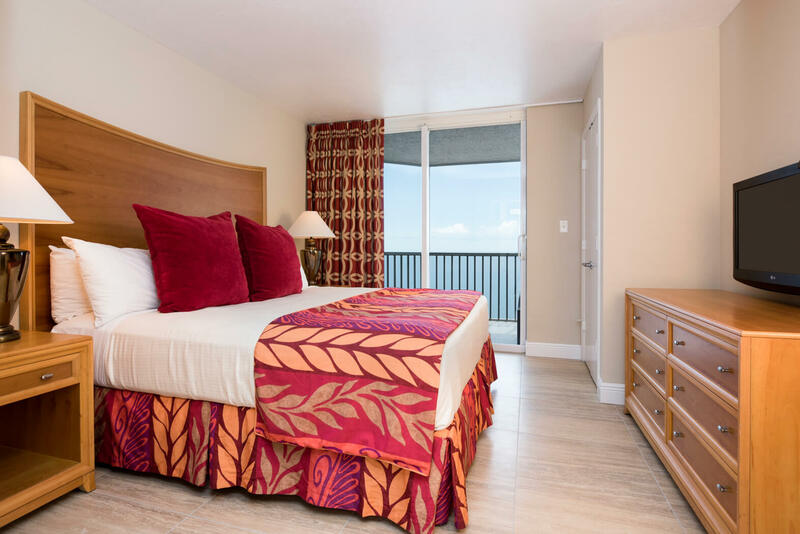 There is a living room with sleeper sofa, separate bedroom with walk-in shower, and floor to ceiling sliding glass doors that access a private lanai. 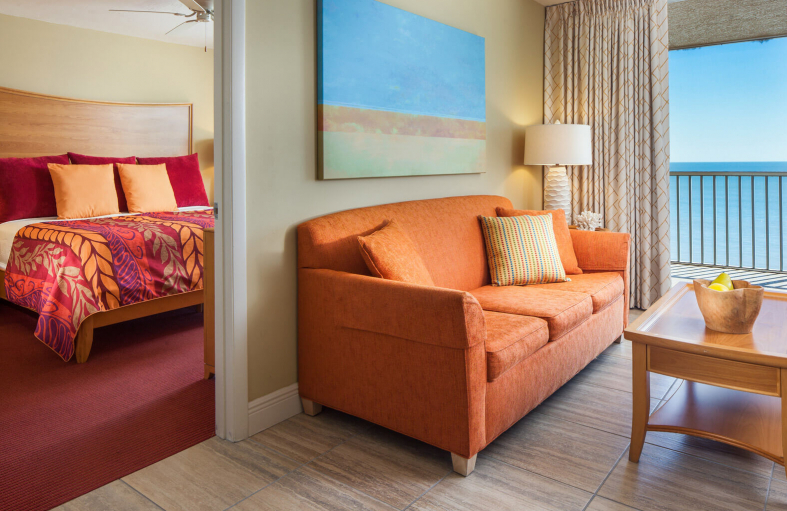 Our deluxe suites offer the same layout and style of our suite with a few additional options. 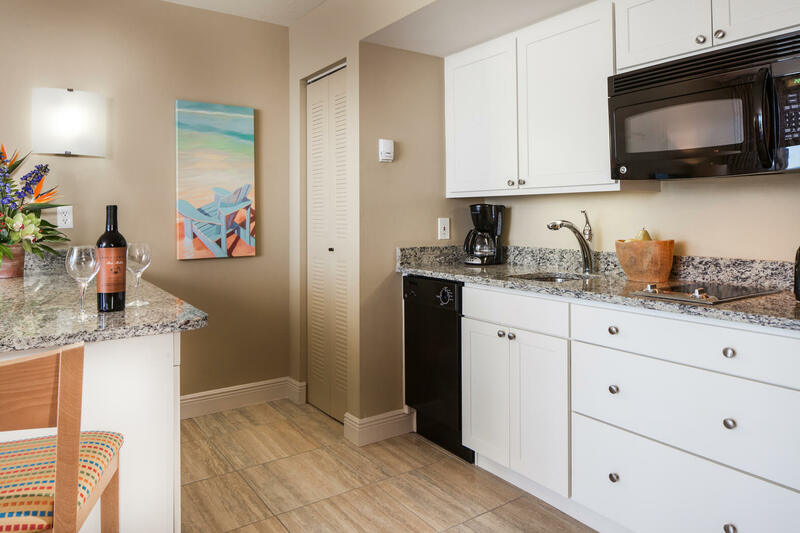 The dining area features a large granite island with four high-top seats while the matching kitchenette has the same modern flare with the addition of a glass cooktop. 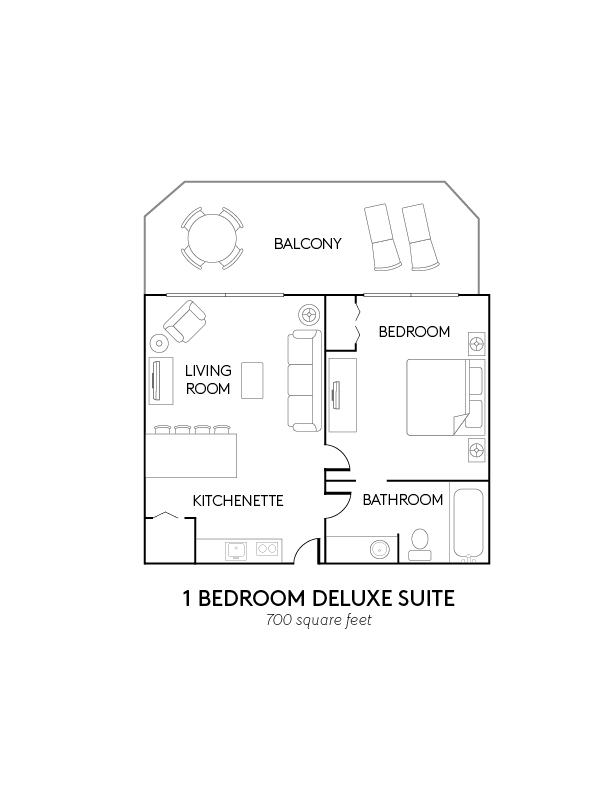 The living room has a pull out sofa while the separate bedroom has a king-size bed. 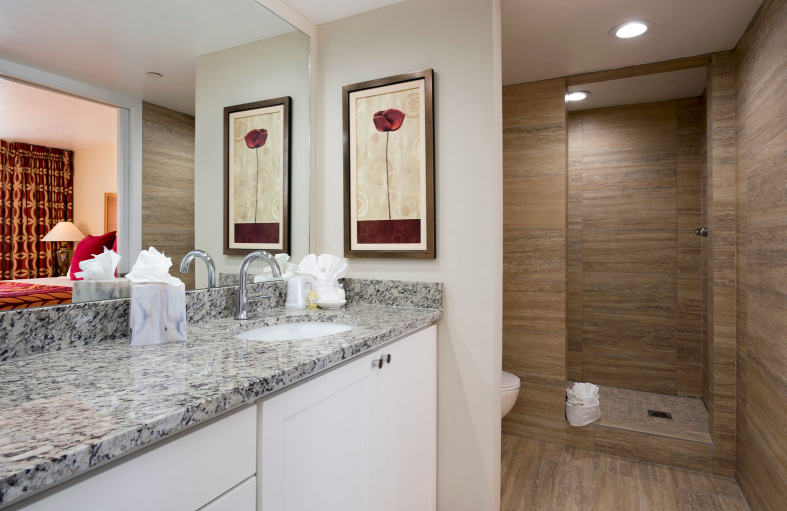 The bathroom features granite surfaces with either a walk-in shower or standard tub shower. 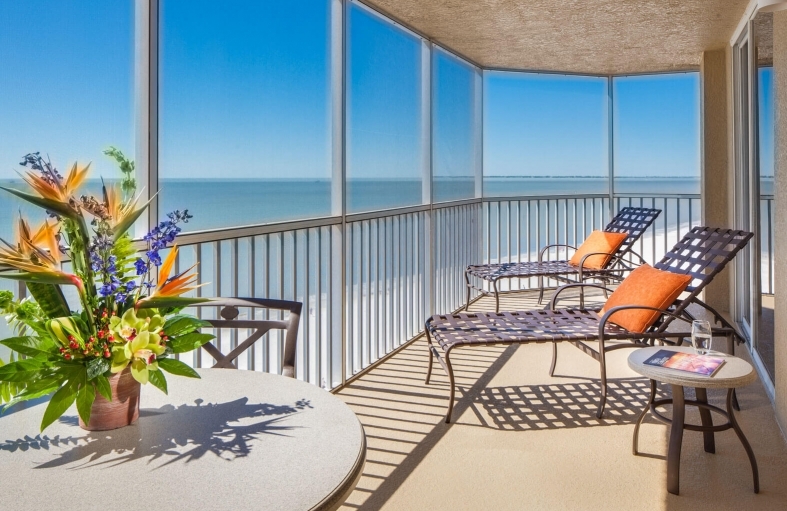 Every suite has floor to ceiling sliding glass doors that access a private lanai. Available in Gulf View, Pool Beach View, and Beachfront View. 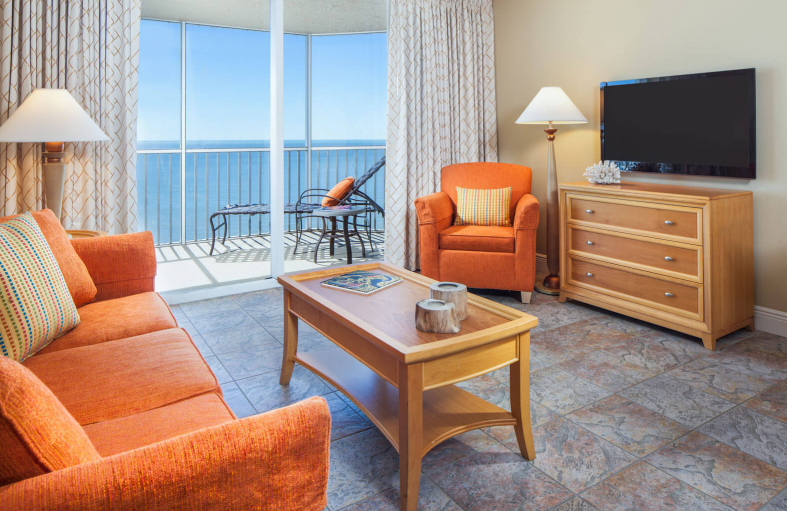 Our inviting ADA accessible one-bedroom gulf view suite offers a contemporary twist on beachfront accommodations. 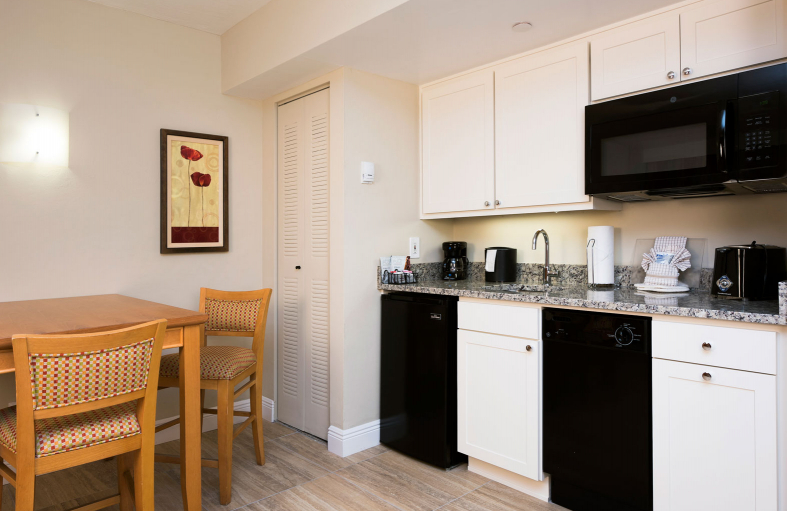 A dining area with high-top table accompanies a kitchenette with modern cabinetry and granite countertops. 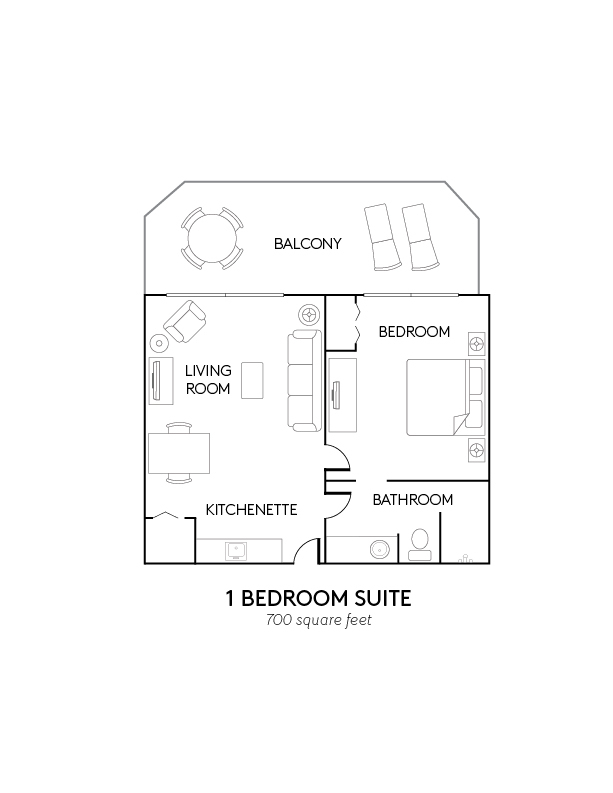 The living room has pull out sofa while the separate bedroom has a king-size bed. The bathroom features granite surfaces and each suite has tile floors throughout and floor to ceiling sliding glass doors that access a private lanai. 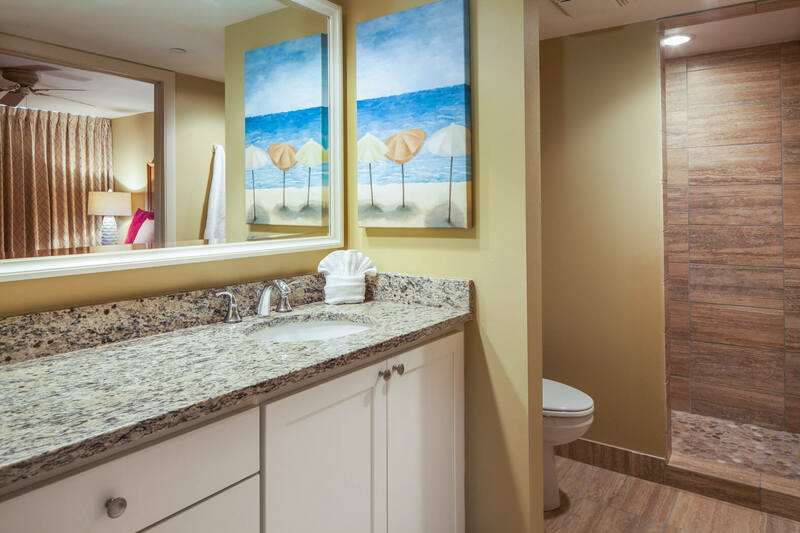 ADA accessible features may include roll in shower, grab bars, shower seat, removable shower head, shower bench, widened door entry and hearing impaired telephone equipment. Please call our reservations team at (866) 891-2472 for further assistance. 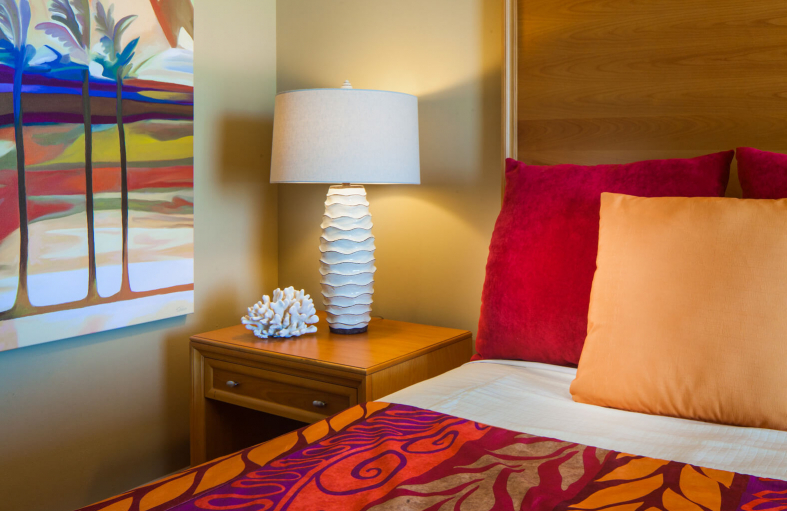 at (866) 891-2472 for further assistance. 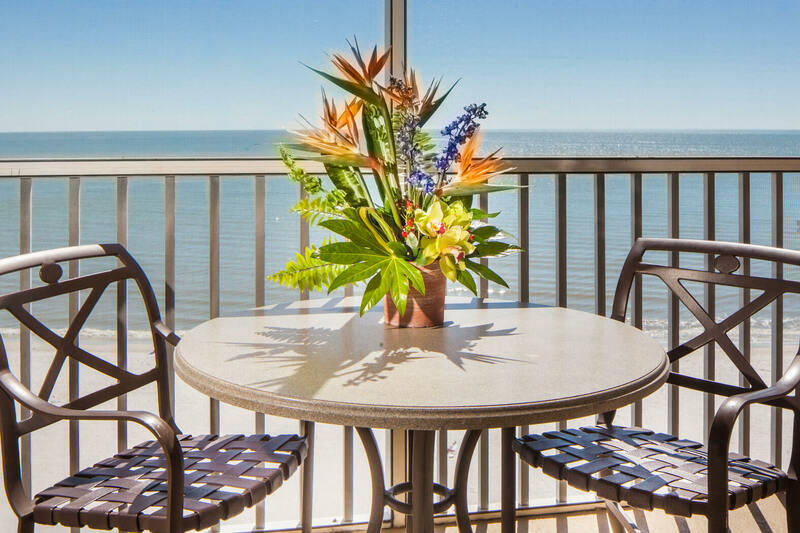 Get the group together at DiamondHead Beach Resort and save big on room blocks for weddings, meetings, and special events. 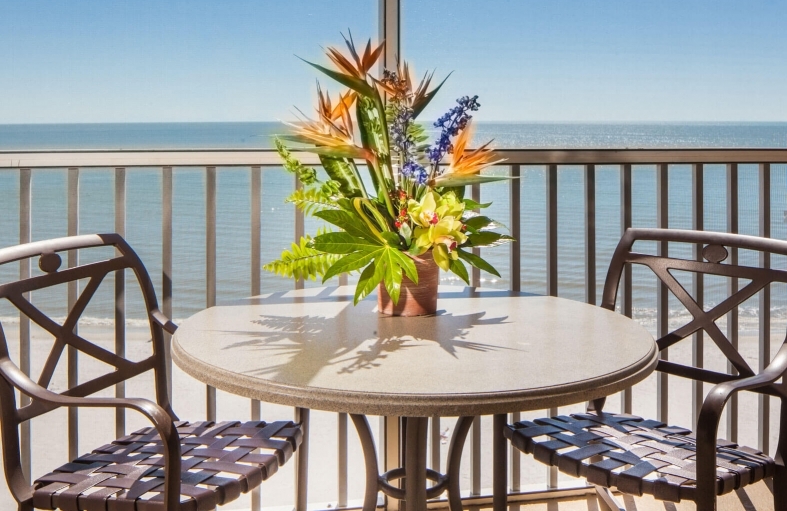 We offer flexible indoor and outdoor venues with professional catering and a personable event planning team.